A group of Connecticut residents is checking out the homes of the "AIG Rich and Infamous" in Fairfield County. Want to see how the AIG executives in Connecticut live? How about a tour? Connecticut Working Families is teaming up with ACORN members and activists from across the state to see for themselves. On Saturday, they’ll meet in Hartford and then travel to Fairfield County for a tour of the homes of the “rich and infamous” AIG execs in the Financial Products Division. The tour will conclude with a rally outside the AIG offices in Wilton. Check out the CWF site for departure information. “We want to give folks in Connecticut who are struggling, worried about losing their homes to foreclosures, losing health care, their job, a chance to see what kind of lifestyle billions of dollars of credit swap can buy,” said Jon Green, director at CT Working Families. He and others are pretty ticked about the $200 million dollars or so in retention bonuses being passed around. Three Connecticut executives have been named as among those receiving bonuses. He was so ticked, in fact, that they’ve even created an AIG Cribs Facebook page. Green wants to raise awareness and to shift fiscal priorities at the state level to public education, green jobs and helping Connecticut families. 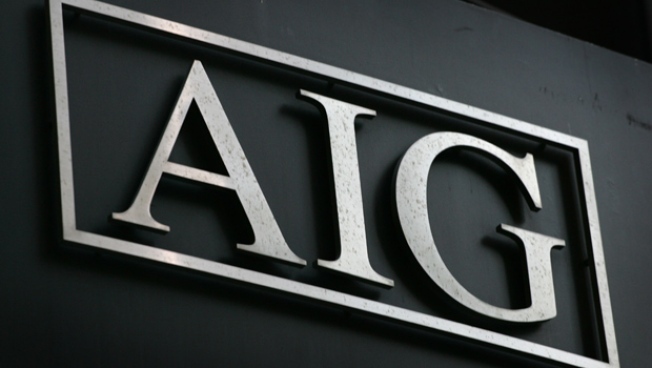 The state has issued a subpoena for AIG to disclose information on the AIG bonuses, which the company says were required by state law. While on their trip, Green and company will present the execs with a letter they hope will put them on a serious guilt trip. We hope you enjoy living in Connecticut, and we’re glad you decided to make our state the home for your Financial Products Division. Congratulations on your bonus, we’re sure you worked very hard for it. Having said that, you might have noticed that things are not going very well for the rest of us. We’ve seen skyrocketing unemployment, thousands of Connecticut residents losing their health insurance, and thousands more losing their homes to foreclosure. Retirement and college savings have been wiped out. It’s not a pretty picture. Here’s the point: $165 million may not seem like a huge amount of money for AIG or it’s top executives. But for Connecticut families struggling just to get by, for those of us who are losing our homes, losing our health care, losing our jobs, this is a lot of money. It’s a letter you can sign online if you can’t make it to the rally and you’re interested in giving the “rich and infamous” a tongue-lashing.